The monetary system for dummies. 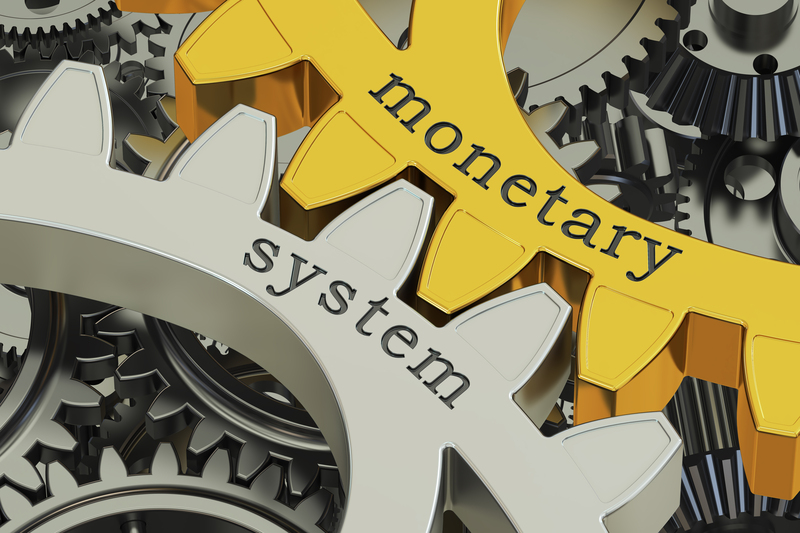 When it comes to learning about the monetary system, it can be easy to get lost in a flood of complicated words. That’s why we simplified it for you below. We are living in the Matrix. According to Nathan Birch of Binvested, we live in a government controlled indoctrination camp. By law we have to go to school for at least 12 years of our childhood. But, the type of education we get is very limited. It teaches us how to live life within the confines of the system. “A lot of people get trapped in that matrix,” says Nathan. “It’s important to understand how money works, how the economic model works, how money gets issued and who controls that issuance,” says Nathan. And guess what? It’s not the government that controls the issuance of money, it’s the central banks from around the world. Central banks are not government run. If you look at the RBA’s website, says Nathan, it becomes clear that the RBA is not a Government agency – it is independently run. This implies that there is a separation between the Government and the RBA. The policies of central banks shape the market. “There is no coincidence that every country in the world has got the same news,” says Nathan. Going back three or four years, the same housing unaffordability stories were appearing in the news across the globe, in places as diverse as Sydney, Vancouver, the Philippines and Kenya. Now, says Nathan, house prices have been crashing in all of the same places. “Money supply and money control from the central banks has caused this situation,” he says. What will the central banks do next? Nathan says, he likes to look at the problems faced by the central banks and assess the options they have to fix them. He says that the amount of money printed over the past decade has been greater. Quantitative easing was used to soften the 2008 recession which meant that money lost some of its buying power. Nathan says that this was the undercurrent of the recent property boom. It wasn’t so much that properties increased hugely in value, it had more to do with money losing its value. So, what will the central banks of the world do to fix this situation? Nathan says he believes interest rates will drop in the first week of May or June. How is he able to make such bold predictions? Because he has been looking at the fundamentals. Just a couple of weeks ago, the recession signal was hit – the Treasury yield curve became inverted. This happens when the return on long term Treasury Bonds drops below the return on short term Treasury Bonds. Treasury Bonds are important because they underpin the lending that gets done from banks. Yields affect interest rates and the amount of credit in the marketplace. He says, if short term bonds are paying more than long term ones, liquidity gets sucked out of the long term bonds and pumped into the short term bonds. This pushes the short term bonds up in value even more. When that happens, says Nathan, quantitative easing needs to occur. Why is the inverted yield curve so important? “17 of the last recessions came following an inverted yield curve,” says Nathan. That’s 17 out of 19 times that a recession happened following a yield curve inversion. So, that is why quantitative easing needs to happen. This is basically a fancy way of saying that the central banks of the world need to pump more money into the economy. “We’re going to have more stimulus happen out there,” says Nathan. What does this mean for property? With cheaper interest rates and other incentives to buy property, more buyers will enter back into the marketplace. When more money is being spent, prices will start to rise once again. Nathan says he can’t give an exact date of when this is likely to happen until he sees what type of stimulus will be introduced. But, if you look at the Sydney property market, the recovery happened in 2009 after the GFC struck. It is possible that we will see stimulus introduced before the end of this year. It could be about 12-24 months before we see the start of the next boom, says Nathan, keeping in mind that we’ve already been in an economic decline for about three years. Nathan says he also watches the DOW JONES and other international markets, as well as global currencies to give him an indicator of what is happening in the economy. Following global news can help to keep you informed, however statistics are normally three to six months behind. This means a recession could already be well underway before it is officially called. In fact, Nathan says the recession is happening right now. The smart people have already made their decisions months ago. A recession like no other. During the GFC, we saw a few people and companies do a few bad things and the world got into trouble, says Nathan. This time, he says, we are going to see countries and currencies go bankrupt. It is something that’s never been seen before – and the only way out of it is to print more money. Hyperinflation will make debt irrelevant. The more money there is, the less it is worth. This drives up the prices of physical assets, which is good news for property investors. “The reason I like property as my go-to vehicle is that it’s not just the capital price that gets appreciated, it’s the actual cash flow that gets appreciated as well,” says Nathan. In other words, as rents increase more and more due to hyperinflation, it becomes quicker and easier to pay back the debt. Help Me Exit The Matrix!